iClip is the premier multiple-clipboard and scrapbook tool that enables you to keep a history of almost anything you copy, instead of only the last thing. iClip was designed to be accessed as simply as the Mac’s Dock: just move your cursor to the side of the screen and iClip pops out for instant use. 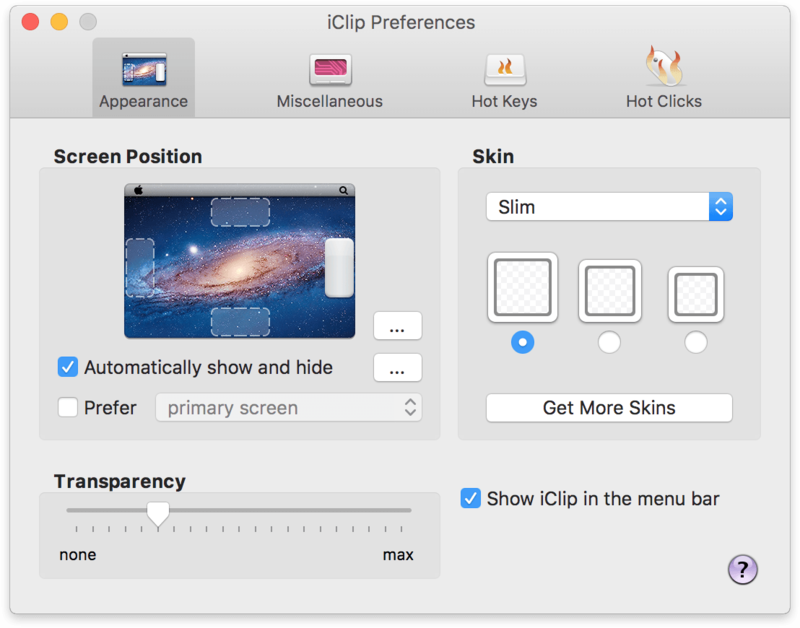 Get things into and out of iClip with hotkeys, drag-and-drop, or just 1-click. Organize your stored clips into multiple sets and have them ready to paste in an instant. Imagine having common email replies, logos and signatures, code-snippets, and more just a single click or keyboard shortcut away!